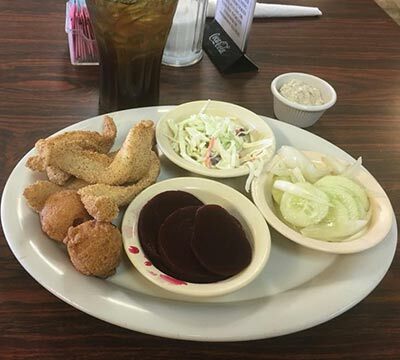 Here in the south, catfish is a tradition on Fridays. 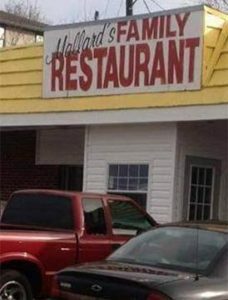 Mallard's Family Restaurant in Nashville is doing their best to keep that tradition alive. Come see us on Friday for lunch or dinner (or both!). 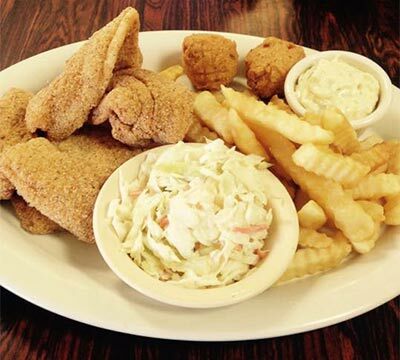 Catfish is fried fresh from 11 am to 8 pm. Don't worry - if one of your companions isn't into catfish they can order from the lunch and dinner menu. Served with French Fries (or another veggie), Slaw and Hush Puppies.